Sun, Sand, Surf, Sunsets ~ All Good For The Soul! 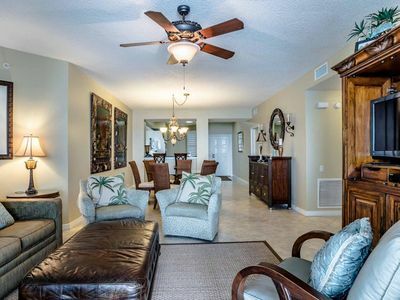 Come and enjoy all that is offered in our spacious 6th floor condo located right on the beach! Lots of updates! Everything you need to feel right at home while on vacation! 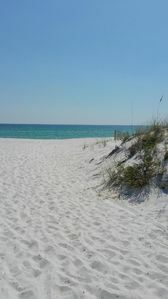 If you have never experienced Navarre Beach now is your chance ~ great spring and summer dates open! Our weeks run Sat. to Sat. You may reserve for less than a week at certain times but check in or check out must be on Saturday. There is a refundable $250.00 damage deposit required with Rental Agreement. 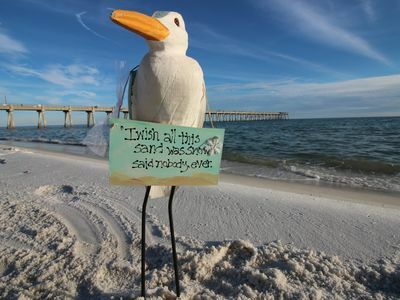 I look forward to helping you plan a great vacation on Navarre Beach. Come and enjoy the wonder and beauty of Navarre Beach! Every season is the perfect time to be on Navarre Our pool and fitness center are open and waiting on you. So much to enjoy in our area! Gulf Blvd. 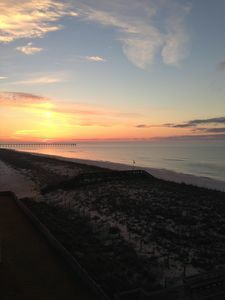 which connects Navarre Beach and Pensacola Beach is a spectacular drive - enjoy incredible sunsets from Navarre Beach to Pensacola through the National Seashore! WE HAVE OTHER 2 BEDROOM UNITS AVAILABLE AND A 3 BEDROOM UNIT ON THE 5TH FLOOR! BRING YOUR FRIENDS AND FAMILY! There is NOTHING ORDINARY about our beautiful Regency unit located on the 6th floor. It's decor is tropical and fun! 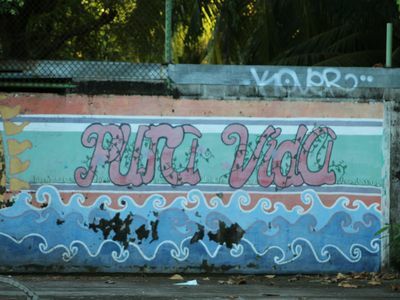 We believe you have the right to expect only the best when on vacation! 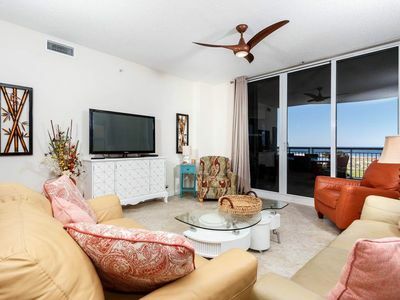 Unit 602 is a spacious, beautiful, 2 bedroom Gulf front condo. 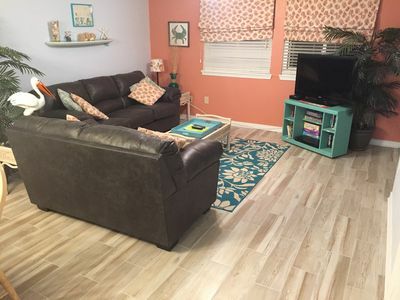 We have a 1080 LCD High Def TV in the living area for your enjoyment and of course there is wireless internet provided at no charge. We want to help you create wonderful vacation memories! 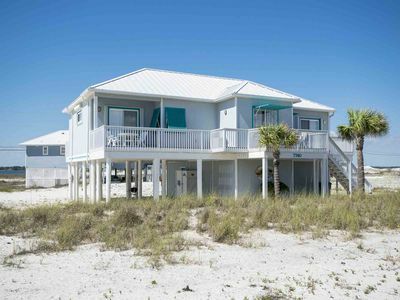 If your idea of a great vacation spot is sun, sand and relaxation then Navarre Beach is the perfect location in the Panhandle for you! 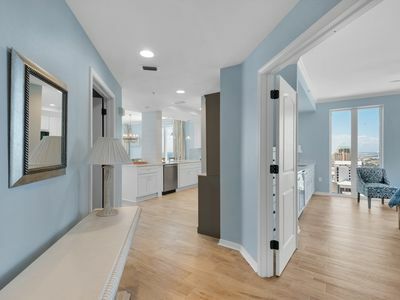 If your idea of the perfect condo is spacious, clean, comfortable and beachy then unit 602 Regency is the perfect condo for you! 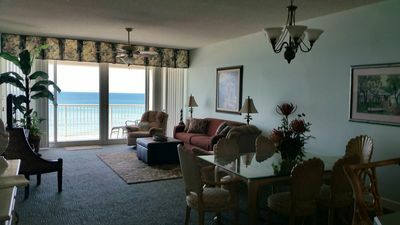 The Navarre Beach Regency is a wonderful resort -we are a mid-rise and have ample beach frontage for our guests. 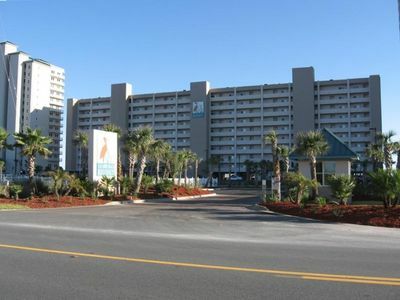 We have the largest pool on the beach and it is heated from March through November. 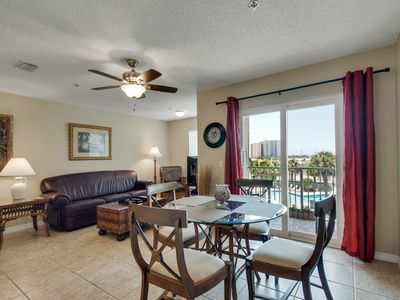 Our spacious 2 bedroom, 2 bath unit sleeps 8 comfortably. Emerald blue water, beautiful pristine white beaches, without the crowds - await you on Navarre Beach! Email or call today! If attention to detail is part of your everyday life then you will appreciate all of the extras you will find in our beautiful condo. Our beautiful master bedroom has a king sized bed and our master bath has a jetted tub. There are floor to ceiling windows and doors that open onto a very spacious private balcony. 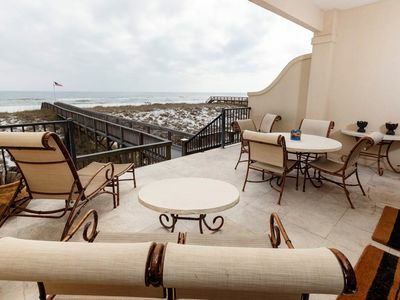 You will love enjoying the sunrise and/or sunsets from the privacy of the 30 x 8 balcony. 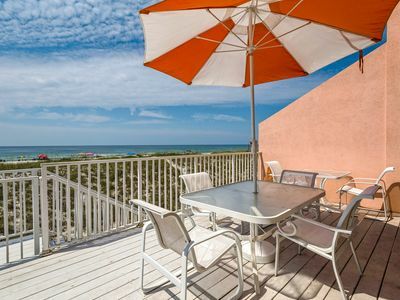 The balcony is comfortably furnished with a table, 4 chairs and 2 chaise lounges. Our second bedroom has 2 queen sized beds in it - ample closet space! Spacious, beautiful, comfortable -everything you need and want is at your fingertips. 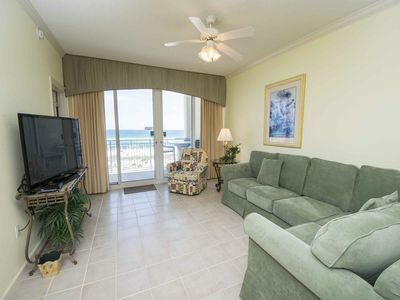 We have 1520 square feet that is beachy, tropical, casual and fun in its furnishings. The view from the living area and master bedroom is indescribable! Whether watching the dolphins, surfers or just the spectacular Gulf there is never a dull moment - quiet and peaceful maybe, but never dull! The dining and bar area comfortably seat 8. 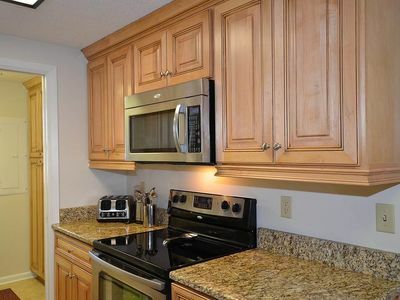 Our kitchen is fully equipped everything you will need or want is at your fingertips. The island has a couple of great restaurants so if you don't want to 'enjoy' all that the kitchen has to offer they are both within walking distance. We have many restaurants within a couple of miles of the island. Our large laundry room has a full sized washer and dryer for your convenience. We have ample storage and linens are provided. 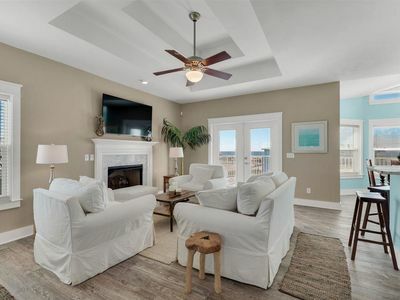 When Usual, Typical, or Ordinary is NOT what you are looking for then look no more - 602 Regency is the place you will enjoy spending your vacation year after year. 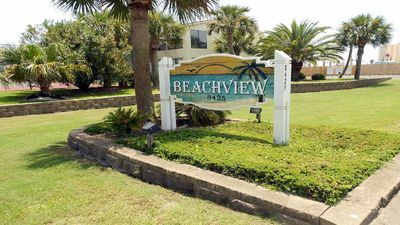 We have beach service available right in front of the complex (for a small fee) and we have a storage area under the building for your beach floats, chairs or umbrellas. 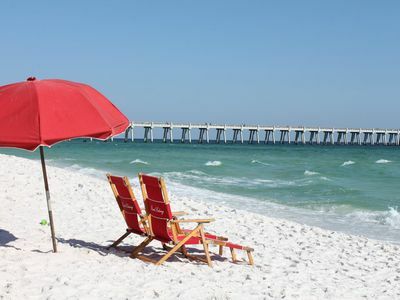 Our goal is to make your time at Navarre Beach as restful, relaxing and rejuvenating as possible. So call or email us today and come join us! 3 Night Minimum Rental Period - Weeks run Sat to Sat in season but we do make exceptions! Call or email today.....we have 2 units so bring your family or friends! 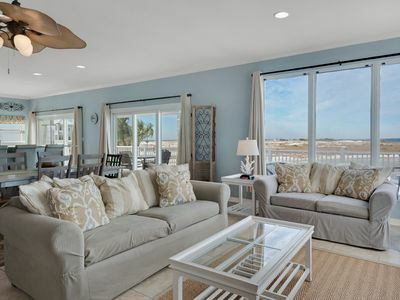 Beach Colony Resort West 2F - Spring availability - won't last long!
" 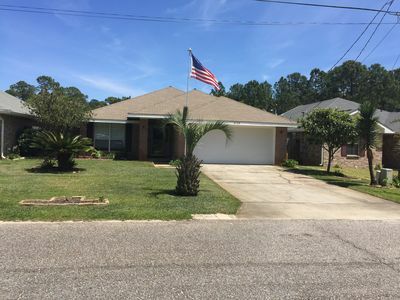 Jen's Creole Cottage" Amazing Luxury Gulf Front ! July 21-24 Open! Walk In Shower! Booking for Summer! FREE ! ! DAILY BEACH CHAIR SERVICE & CHOICE OF WATERCRAFT - DETAILS BELOW ! ! Marantha House - Spring availability – won’t last long! Vacation and relaxation! Perfect white sand beach and all the comforts of home.